Small exterior dimensions to save space in tight areas. Secure equipment support outside of the data room. Open and enclosed options to suit your aesthetic preferences and security requirements. A variety of sizes and options to suit your needs and budget. 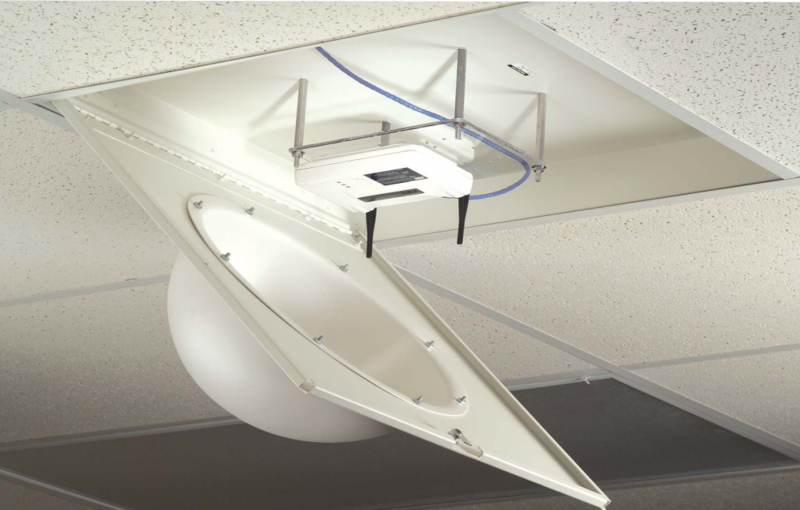 Wall-Mount Open Systems provide a cost-effective equipment mounting solution where space is limited. Open wall-mount racks present easy access to cables and equipment and offer both fixed and swing frames. 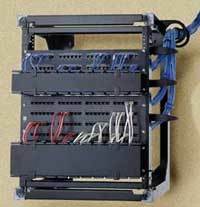 Swing frames pivot open on one side to provide access to the rear of equipment and are used to support patch panels, while fixed frames hold more weight and are used for network routers and switches. Mountable to wall or backboard. Open architecture for airflow and easy access to cables. 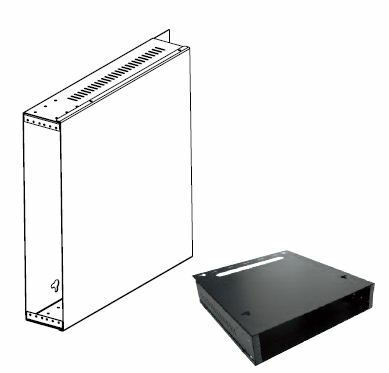 Support of patch panels, shelves, trays and network equipment with roll-formed #12-24 tapped mounting holes. High-strength, lightweight aluminum construction (most models). Fixed and swing-out designs for easier installation. Offer up to 350 lb (158.8 kg) static load rating. 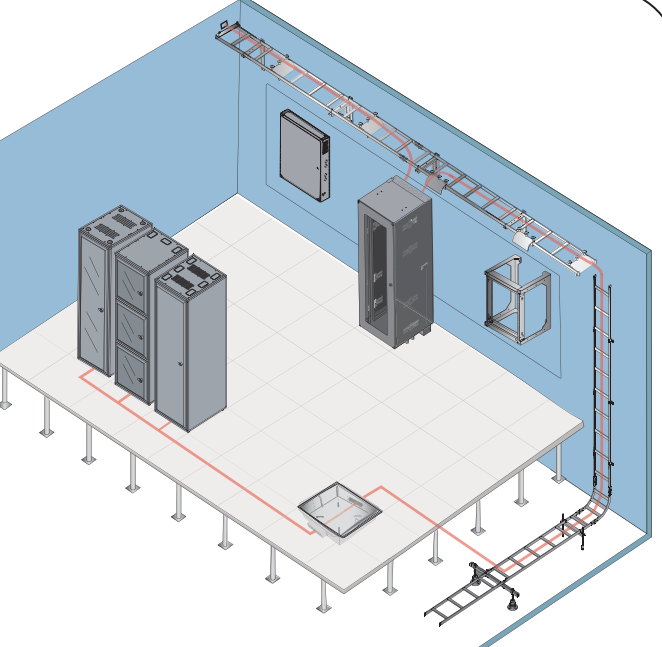 Wall-Mount Enclosed Systems provide added security when storing equipment outside the data room. Enclosed wall-mount cabinets are available in vertical, hinged and floor-supported designs. Vertical cabinets hold equipment against the wall to minimize the depth of the cabinet. Use vertical cabinets to support a small group of network users. Hinged cabinets provide access to the front and the rear of equipment. The cabinet body is hinged near the wall and can swing open to access cable terminations and the rear of equipment. Floor-supported cabinets are also hinged, but the cabinet body is supported from the floor with casters. This type of cabinet can hold more weight than wall-mounted hinged cabinets and are used to replace a freestanding rack in small rooms where added equipment security is required. Enclosed with lockable doors for security and aesthetic appeal. Wall-mounted, floor-supported cabinets offer up to 1000 lb (453.6 kg) static load rating. 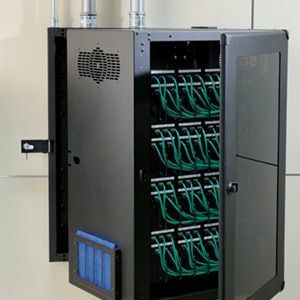 CPI offers additional wall-mount products such as the Wall-Mount Rack With Enclosure. Smaller applications may require more compact products such as CPI’s various wall brackets. These solutions are ideal for tight-spaced installation. Accessories are available for wall-mounted racks and cabinets. 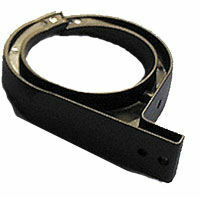 Select from cable, thermal and power management products as well as various shelves and brackets.